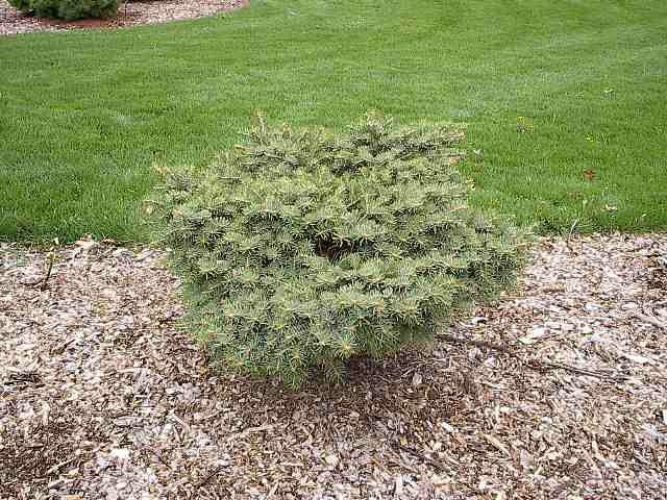 Abies concolor 'Stanwood' is a flat-topped globose dwarf cultivar with Blue-green foliage. Annual growth 2 inches (5 cm). Found in 1995 as a witch's broom in a yard in Stanwood, IA, USA by David Horst. This is a very miniature, Blue-green, short-needled plant. The original broom was found in a residential yard in Stanwood, Iowa by David Horst of Sabula, IA. Abies concolor (Standwood) The plant shown in this photo is about 8 years of age when this photo was taken in 2003. 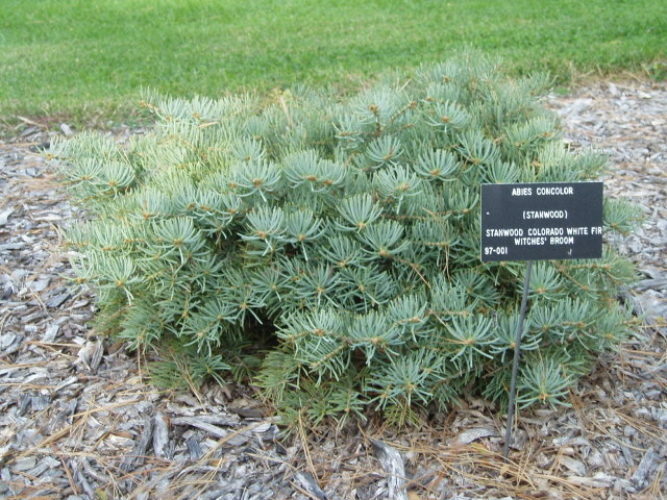 This plant is in The Heartland Collection of Garden Conifers, Bickelhaupt Arboretum, Clinton, IA. Abies concolor (Stanwood) WB This photo was taken at Bickelhaupt Arboretum located in Clinton, IA in their Heartland Collection of Garden Conifers during late October of 2005.